Māori have long been involved in – and successful at – rugby. The first national team to visit New South Wales included Māori players, and in 1888–89 the mostly Māori Native team toured the world and won most of their games. Bans on Māori players in All Black teams touring South Africa led to controversy in the 20th century. Māori have had a long involvement in rugby. A Māori rugby club, Hauraki, was set up in 1883, and there were two Māori players in the first national team, which toured New South Wales in 1884. A Native rugby football team (which was intended to be all Māori, but included some Pākehā) was organised in 1888 and toured internationally for 15 months – the longest rugby tour ever. The first official national Māori team played in 1910. In 1919 ‘coloured’ players, including Māori, were excluded from a New Zealand Inter-services team which toured South Africa. In 1921 a match between New Zealand Maoris and South Africa in Napier led to controversy when a South African journalist sent a cable criticising Pākehā New Zealanders for supporting the Māori team. 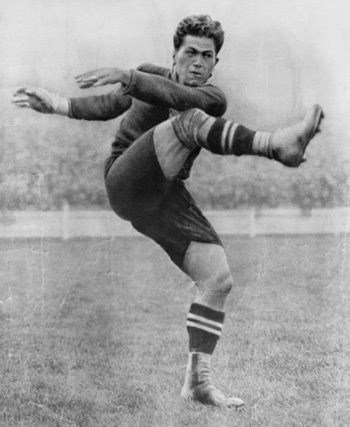 Māori players were excluded from the 1928, 1949 and 1960 tours of South Africa. New Zealand Maoris toured the world in 1926–27, winning 30 of their 40 games. In the 1950s and 1960s New Zealand Maoris were less successful, but there was a resurgence in Māori rugby from the 1970s. In 2010 the South African government and New Zealand and South African rugby unions apologised for the exclusion of Māori from past All Black touring teams. In 1908 an ‘All Māori’ team played rugby league in Australia and in New Zealand’s main centres. Some Māori players switched codes. The New Zealand Māori Rugby League was set up in 1934, with the head of the Kīngitanga (Māori King movement) as patron. In the 2000s most league players were Māori or Pasifika. League was the fourth-most popular sport for Māori males in 2001. The national women’s rugby union team, the Black Ferns, won four consecutive world cups. The Kiwi Ferns, the national women’s league team, won three successive world cups. Māori women have been prominent members of both teams. Māori boys’ boarding schools – especially Te Aute and St Stephen’s – have been known for rugby. At least 10 former Te Aute students have become All Blacks. Māori rugby clubs were set up in the late 19th century, but most Māori played in local club teams alongside Pākehā. In the 2000s Ngāti Porou East Coast was unique in being the only union with an iwi name. Māori league clubs were formed in the mid-20th century. Māori players have been prominent in rugby sevens tournaments, and the Aotearoa Māori Women’s Sevens team won a series of international championships. Touch rugby is the main sport played by Māori, and an annual Māori touch tournament is held at Ngāruawāhia.